A year in reflection – My minimally invasive bi-lateral percutaneous sacroiliac joint fixation without fusion is still a miracle! Sacroiliac (SI) Dysfunction, Instability and Pain are gone. The transformation and the excellent results I’ve had from this surgery has been praised by my Dr. PZ Pearce of Champion Sports Medicine, Spokane, WA. He will now recommend this surgery to his other patients that suffer with Sacroiliac Joint Dysfunction that has failed to resolve with conservative measures. Along with Dr. Pearce, Dr. Soto (my pain management specialist at Northwest Medical Rehab) has witnessed the positive changes in me as I have set my course to eliminate chronic pain at its source. Dr. Soto has already posted his professional comment to my website. On the anniversary date 1-17-14, I was not up to writing about my SI post surgical status at that moment because I was between the two HyProCure Surgeries on my feet. I was having a temporary issue going on in the soft tissue over my right SI Joint, specifically the Posterior Sacroiliac Ligament. I was having an increased anterior drop of my right pelvis due to the excessive pronation of my right foot and instability of my right proximal tib-fib joint. This drop was more exaggerated as I increased walking during the 4th week post op recovery from my 11-15-13 left foot HyProCure Surgery. I was fine with physical therapy but excessive walking would aggravate it. 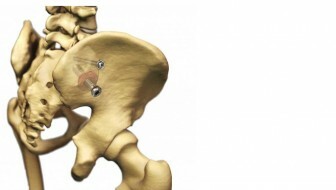 Here is an excellent blog article “The foot bones’ connected to the hip bone” by Dr. Geoff Lecovin that contains the picture on the left. I did not realize how bad my feet had been affecting my SI joints, created pubic symphysis dysfunction and played havoc on my proximal tib-fib joints with life long hyper-extended knees. Now as I write this blog after doing my right foot HyProCure Surgery, my right foot arch Navicular bone is not dropping any more. As a result I have less torque and tension in my pelvis and over my Posterior Sacroiliac Ligament. During the last two months while attending physical therapy for my feet, Joanna my therapist at Peak Performance would use Dynamic Tape over my SI Joints to support the tissue. This tape did not irritate my skin and stayed in place far superior to Kinesio Tape. Staying taped alleviated my symptoms. It was never a deep pain of the joint where the screws are placed but a surface stretch/traction type of soreness. My alignment of my foot/subtalar joint allows me now to stand up straight over my Talus/Calcaneus bones. The HyProCure Surgery was successful with Dr. Gent-Kitsap Foot and Ankle Clinic which added a piece to my puzzle in helping even more with my low back torsion. What ever mild torque that I am still getting is a result of my right ankle trying to fall medially away from the distal fibula bone as the bone is hyper-mobile at the proximal tib-fib joint. And since I cannot take full weight down through my fibula bone, I certainly am not walking correctly either. I never knew until now that I wasn’t taking the weight on that bone as I should have been. Now that I finally have a normal left leg with all 3 joints (left SI, left proximal tib-fib and left subtalar joint) being secured in neutral stable position, it is so obvious that the last missing link in the ability to walk normally of my medical puzzle is my right proximal tib-fib joint. This causes some torque in my L4-L5 -S1 lumbar segments which get slightly fixated (not a true subluxation). Even though my prior MRI image/reports down on my Chronological Medical History Page shows lumbar pathology, I have no pain or nerve compression at my lumbar segments. I describe it as a feeling of compensation and a tightening of muscles such as quadratus lumborum. I do stretches and I walk better but cannot maintain it because of my lateral knee-tib/fib joint. I see my chiropractor just for a little tune-up maintenance and not for pain like the days gone by. It is my goal to always protect and maintain the discs of my lumbar segments to the best of my ability. My walking problem should be resolved with my next Proximal Tibiofibular Arthrex Tightrope Dynamic Stabilization Surgery for my right tib-fib joint taking place on 3/27/14 when I return to Moberly, Missouri to see Dr. Main again for the 2nd time around. Even with all this going on, I still am 100% better than before my SI Surgery as far as sitting and doing office work. I can sit for many hours and not have any pain going up the spine like I had before the SI Surgery. Life in general is so much better regardless of my other surgeries this past year. I look back with absolute satisfaction regarding my SI Fixation without Fusion Surgery. I had to start somewhere unraveling the physical mess of chronic pain. The order that my entire medical journey has taken me on has been with God’s leading each step of the way and I have no regrets. If you have chronic SI Dysfunction issues as discussed here on my website and not a direct acute trauma to the SI Joints, then simultaneously please rule in or out your feet/subtalar joint instability aka excessive pronation. If custom orthotics have not helped your feet and stability, then please seek out a foot doctor trained in the HyProCure Surgery such as my Dr. Gent as they understand the far reaching benefits of this surgery in helping the alignment of your entire body. For the nationwide HyProCure doctor provider directory see this link. See this blog article link written by Swodeam Consulting Inc. about how excessive pronation does contribute to posterior subluxation of the Superior(Proximal) Tibiofibular joint. Chronic subluxation and the fibula bone being stuck out of neutral position causes pain down the leg and into the ankle which does affect your walking and all the soft tissue that connects to this bone both proximally and distally; however like my case, this did not show up on any diagnostic imaging. 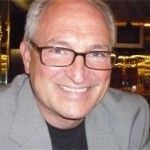 See my www.fibularpain.com blogs for help on this subject or contact my surgical specialist, Dr. Main. It is great to enjoy extra flexibility while you are young and in sports; however, don’t overlook chronic hyper-extended knees as they do contribute to pelvic mal-alignment and lumbar issues. If you are strong and stable on neutral feet but had a fall/car accident that may have directly impacted/injured your SI joints (or the ligaments holding the joints) then I would suggest immediate diagnosing of these joints by your medical professional along with a thorough hands on evaluation via a chiropractor and/or physical therapist trained in SI Joint Dysfunction. Like my case, SI Dysfunction does not necessarily show up on MRI or CAT Scans unless a major trauma caused a fracture and/or major dislocation of the pelvis. A positive SI joint diagnostic injection is a step in the diagnostic algorithm to surgical consideration. My best conservative recommendation is Prolotherapy a/o PRP Therapy injections into the ligaments of the SI complex provided that adjustment or mobilization of the pelvis and sacrum has occurred first and you are in true neutral before the injections. Then taping a/o SI belt for support along with physical therapy. I strongly recommend to not do major low back exercises if your ilium/sacrum or not in neutral first. 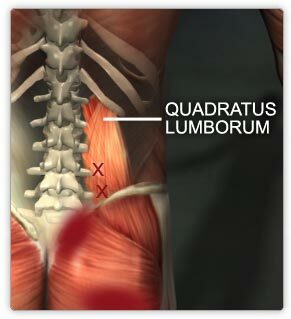 See this link on the iliolumbar ligament to understand its relationship from the lumbar to ilium. My life experience has taught me that a disc bulge a/o disc annular fissure especially in the L4-L5-S1 region was a direct result of SI Dysfunction as the underlying contributing cause of my lumbar disc issues. For further insight or just a listening ear, I’m available to help any patient seeking information on the subjects contained herein on my website. Please see my contact page. I will do an SI Blog update again later this year when I am fully walking and I have finished my rehabilitation after my next surgery. From here my blog stories will continue in my www.fibularpain.com blog section of my SI-Instability website. Stay tuned! To avoid wondering when I post again, please just subscribe to this blog (form in the below footer) to receive automatic updates whenever I post a blog story about my medical and spiritual journey.